Sale a joyous event, but very important. It is very important to observe care and caution before the end of the acquisition of the property. Possession of information is the key to success in any endeavor. Real estate can be purchased independently, and you can use the services of real estate agencies or a lawyer. The involvement of a specialist in the field of real estate is welcome, but it should not allow the buyer to shift control and responsibility on the shoulders of a stranger. The most common way to become an owner of your own apartment is to buy it. To buy property in a newly built house in was built 50 years ago, it all depends on the desire of the buyer. It is the choice of real estate and will depend on the volume of documents necessary to the transaction of purchase and sale. With an apartment in a newly built house, is always a little easier to not have to collect a set of documents confirming the absence of debts, encumbrances, the legality of the sale. But you need to carefully examine the contract of share participation in construction, building and permits, to collect information about the Builder. The contract of share participation in construction is subject to state registration as a Treaty of cession to the agreement of share participation in construction. With the exception of cases stipulated by the legislation of the Russian Federation. Buying an apartment in the "old" house, it is important to gather complete information about the purchased object. Should the apartment owner to request the title and right supporting documents on the property, these documents may be: a warrant for the apartment, the documents on privatization of the apartment, the certificate of entry into inheritance, gift, sales, share participation in construction, a certificate of ownership. Do not hesitate to request help from the passport of family members, this document will help you understand what number of persons registered in the apartment, who are the owners, to detect the presence of minor children. Extract from the unified state register of the rights to the apartment will help you to understand the owners, the restrictions and encumbrances on the apartment. Help from the organizations providing public services, will give an idea about the presence of public debt. Comparing the technical passports (old and at the time of sale), will allow to eliminate the non-coherent alterations in the apartment. To legalize alterations difficult and expensive, and often simply not possible. If the seller is married, then you need a written notarized consent of the spouse to sell the apartment. In the presence of the registered minor children, you may need the consent of bodies of guardianship and guardianship. All papers in order, you can safely get a deal, but remember that the contract of sale is in writing and is subject to obligatory state registration. The agreement is signed the act of acceptance-transmission facilities. 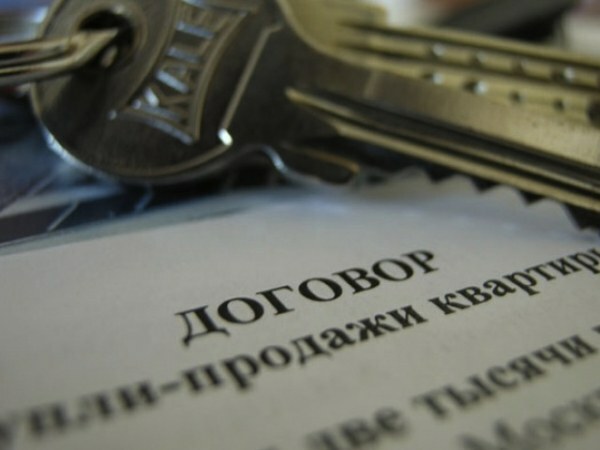 At the time of the signing of the Treaty it is desirable to check whether the discharged out of the apartment all of the prescribed persons, especially minors. After registration in the hands of the buyer shall remain the contract of sale, certificate of ownership, certificate of transfer and acceptance of the apartment, a receipt from the seller for cash.